Q. How did The Chinky Homo Project come up? How The Chinky Homo Project came into being is a question that evokes many answers. In the literal sense, Kumam Davidson and Pavel Sagolsem started it in consultation with other northeast queers and the publication of the first introductory article on In Plainspeak by Tarshi titled “Do Queer Migrants From The Northeast Find Indian Cities Alienating Or Empowering?” However, the birth of this Project also implies a deeper answer. Northeast is a complex entity very much at the periphery of the country; geographically and otherwise. And perhaps, this peripheral identity is an issue the region and its people continue to grapple with, both within the region and in the rest of the country. One of the repercussions of being in the periphery is the challenge to voice oneself and be heard. So, as a northeast person one’s identity and life experience in relation to oneself and the country may be marked by elements of invisibility and misrepresentation. And if one is queer from the region, it may be an added struggle in self-determination and representation. Before the birth of this Project, such concerns have been raised by various individuals and groups and have even solidified into collective movements and put into writing as well. 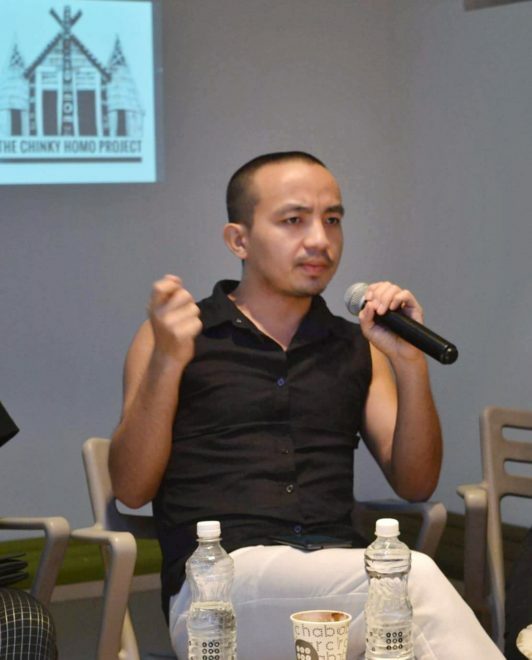 In that sense, the Project is a continuation of the works that have been going on by emphasizing on the lived experiences of northeast queer people and the documentation, archiving and dissemination of it. Q. How are the problems of queer Indians in the states of northeast India different from those in the rest of the country? What are the additional challenges they face? First of all, we don’t think we are ‘different’, we feel that we represent a set of another diverse set of queers of the country, but of course more invisibilised than certain other part of the country, with diversity within and among us as well. The country is so diverse and complex in itself. The socio-political reality of Uttar Pradesh would be extremely different from that of Kerala for instance. Or the queer organising in Delhi, Kolkata, Mumbai, Chennai and Bangalore themselves represent a diverse set of queer ethos and queer culture. So, it could be problematic to comment on the struggles of queer people from other parts of the country as compared to northeastern queer given the nature of lived narratives that we strive to highlight. But, we can throw some light on the peculiarity of the region’s reality. The geo-political reality of the region; within and its relation to the country is a complex conundrum of human rights violation, struggles for self determination, inter-community, communal and inter-ethnic conflicts, drug epidemic, poverty, etc. Being a border region and the fact that it lie in a region whereby the nation’s relationship with the neighbouring country is a strained one definitely adds on to the State’s conviction to deploy overwhelming presence of military unit in the region. This poses another crisis owing to the fact that the region has a memory of in independent past and the subsequent militarisation and violence that followed after the annexation of the region to the country. As such gun violence between the military forces and the rebel group creates and sustains an atmosphere of emergency in the region that again adds on and help instate the State’s apprehension to comply to boost development of the region as they fear that it will fuel the self determination movement that has been there in the region since the annexation of the region to the state with more economic power. Further the state uses the rhetoric of the region as a national emergency zone to limit development in the region. Which is quite ironic given the fact that the region represent one of the richest region in terms of its biodiversity and of natural resources not just in the country but also in the world. To the rest of the country, an underdeveloped and violence ridden part of a country which lie in the fringes and is also culturally foreign to them could no longer gain any significance vis a vis their growth and their sense of kinship hence being neglectful of the region becomes a spontaneous response or attitude. The conflict among and against the state takes such a centre stage that the most popular rhetoric of dignity and integrity of the region lies in preserving and maintaining the ethnic roots and tradition in the region. As such, any divergent lifestyle is seen with animosity as a factor that might loosen or pose a risk to the ethnic pride, dignity and integrity. These constrict the possibility of the queer to initiate and advocate there lifestyle and their sense of vision and progress. The same applies to any and every “progressive” folks, queer or non-queer. Further when we do step out of the region, we are again treated with a sense of second or tertiary citizen fueled by stories of how we are “Anti India” without a deep understanding of where it is coming from and what it means. The foreignness of our culture, habit and view of life caste us as an ethnic group that brings in disturbance and noise in the existing and prevailing social and cultural fabric of the “Indian” community and their tradition and since these “foreigners” comes from an underdeveloped part of the country, the diversity they bring forth is seen as the habit of a lesser culture or say the “tribals” and the lower caste, as such racial hostility and limiting one’s accountability becomes one of the major hurdle apart from our struggle on the basis of one’s gender identity and sexuality. However, one must also not forget it’s a very diverse region and hence the experience of queer people in each state itself may reflect diversity. Nupi Maanbi (transwomen) and the Nupa Maanba (Transmen) in in Manipur among Meitei community have been able to establish themselves as strong community occupying some of the key source of income, for instance the beauty and fashion industry is more or less in the hand of the nupi maanbi while nupa maanba dominates the local homeguard force and they have also established themselves as another business class group. 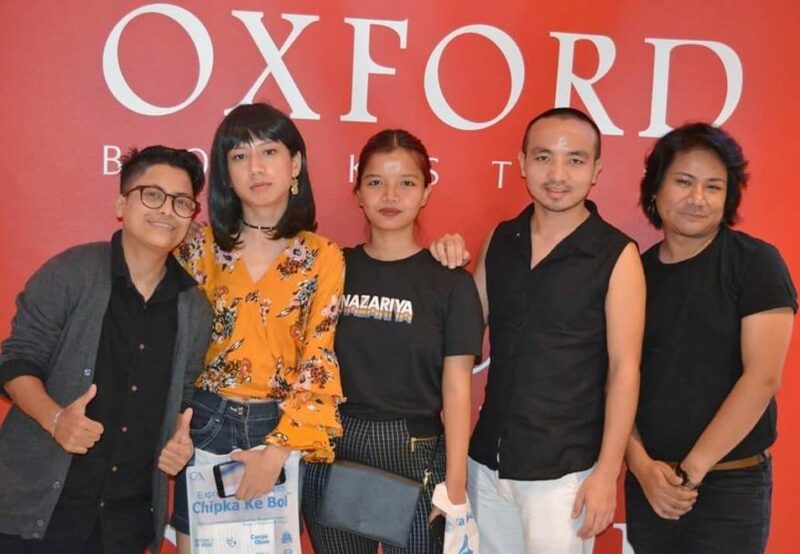 The nupi maanbi organises fashion shows and beauty pageants which serves public platforms of the queers to come together anonymously to the eye of the public. Despite the above the lesbian and gay scene is pretty much underground and people still maintain a certain aloofness and indifference to the question of existence of gay and lesbian in the community. However, there still exist stigma, prejudices and violence towards gender nonconformativity and homosexuality and the history of social exclusion, depression and even suicide still persist among nupi maanbi and nupa maanba community. Queer narratives of the Nagas, Kukis and other hill communities and the Meitei Pangan (the Manipuri Muslim community) largely remain invisibilised. It could be noted that Meitei is the dominant community and the state has a a very hegemonic history of communal dominance and practice of ‘untouchability’ which still exist in it’s modernised and subtle forms. Assam on the other hand has a different narrative of LGBTQ movement. It holds pride marches every year and also there is a considerable power that the intellectuals and academic institutions hold thereby the sense of “progress” is seen as a vital element of growth in the region. It could be noted that ULFA was effectively handled by the Indian State as the Guwahati the economic capital of the region lie in Assam. Assam is also an extension of the Deccan plateau and the indo-aryan fold. That said, the region also faces neglect from the state in terms of it’s citizenship status and in mainstreaming atrocities and political agendas of the state in the national scheme of priorities. Also it could be mentioned that there are more queer collectives, spaces and organisings given the mixed population and urban atmosphere. Nagaland and Mizoram have very strong church ethos against homosexuality and queer rights. The churches that occupy very significant position in the state’s socio-political fabric, have strong opposition against queer rights. Shillong though considered the rock capital and supposedly progressive, the city grapples with queer rights and activism and mention may be the Khasi Hills Autonomous District Council’s critical stand on Transgenders Bill for instance. There are also ethnic vigilante group that is backed by the ethnic councils and church that deploys unprecedented and untoward corrective violence on queers with a total immunity and support from the society. Localisation of queer struggle probably is a common thread in the region, differing from state to state or community to community. Majoritarian representations that inherently invisibilise the minorities also seem to be a common thread. Queer narratives from Sikkim, Tripura and Arunachal Pradesh are also less written and talked about as of now. 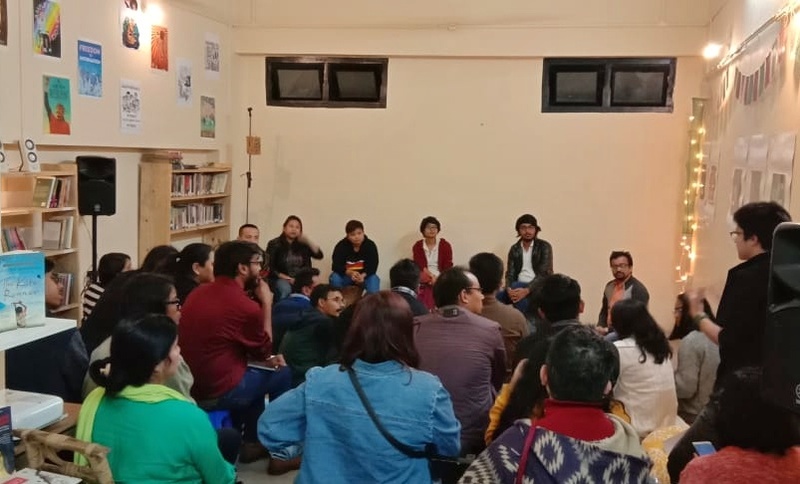 The neglect by the state authorities of the queers in general aided by the neglect of the country’s media and social justice movements and collective actions also help the violence to go uncheck and persist further. Despite these struggles, the queers do organise themselves in small groups. They organised discreet social gatherings and parties. They fall in and out of love and also dot the dating zone with their own dates and romance. Veiled from the public’s eye and despite a constant state of fear of being outed, the queers do find each other and sew their own network of like minded friends and enjoy their passion and fantasy with each other. Like any other person, they also get together on every festive occasion and party together, mourn each other’s loss and as one soul demises, each one also holds a moment of silence in memory of the queerness that he/she/they embodied, lived and celebrated. These are few aspects; there are more layers to the reality of queer lives and struggle spread across the region. TCHP in no way can highlight the nuances and complexities of each state or community at the moment. It will require much more groundwork, collaborations and documentations to bring out the deeper shades of queer lives. Q. How has representation been so far in the mainstream media for Queer Indians from the Northeast? There is no or very little coverage by the Mainstream media at all. Independent and queer centric media and allied platforms, mostly the blog counterpart or NGO and Collectives working on issues of gender, sexuality, HIV and LGBTIQA+ issues seem to be picking up of late. But there is lack of consistency in reporting and without consistency the idea of northeast as a peripheral region may not change. Also the lack or absence of ground reporting questions the very nature of representation. For instance, how can local stories make national headlines if reporting continue to thrive on email or WhatsApp messages? See the amount of reporting during pride month in Delhi or Mumbai as compared to that of Guwahati or Shillong. We know that media plays a very crucial role in influencing people’s mindset about different societies. How are we going to change prejudiced or limited knowledge of mainstream India about the region and its queer people in particular if the present trend of reporting continues? We absolutely need more ground reporting to add on to the existing media representation of northeast India. One is also aware of the challenges the region poses to journalist and reporters while reporting from the region, but that’s common in conflict regions. Media stories continue to come out of Kashmir, Syria or Palestine and northeast India is not even as volatile as them. If readership is a factor, then media houses surely have the resource and capacity to work on that as well. Q. Is the usage of the word ‘Chinky’ an attempt at reclaiming the generally offensive word? What are your thoughts surrounding the same? The Project doesn’t assume any authority to as what words should be reclaimed or not. We have stated time and again that we do not intend to reclaim the words “chinky” and “homo” because the usage, meaning and implications of the words are not the same across the spectrum in the community from different regions. To use the words a general marker of identity politics would be a sweeping generalization of different experiences of northeast queers. And that would be a grave mistake and it defeats the vision, agenda and purpose of the Project. However, it must also be observed that the two words catch popular imagination and set the stage for intense discussions irrespective of our intention. It has received attention from different spheres including media, the wider community and the general population and has also raised some eyebrows. We are aware of the curiosity and questions it continues to trigger. And we have come to the understanding that a piece of work once put in the public domain is no longer exclusively under the control of the creators, it is rather in the hands of the public. So, if any queer person out there feels that the words must be reclaimed in the interest of oneself, we are nobody to have a say on that. Likewise, if another queer person feels otherwise, we sympathise with that yet the choice is not ours. In short, we have passed on our work to the public and they may decide what the best way forward is and we will continue to incorporate the public’s perspectives and criticism on the Project. Q. What are your plans as a group for the North Eastern region as well as the rest of the states with regards to doing more workshops/ events etc? The northeast is a diverse region in itself with its own share of different conflicts, challenges and socio-political histories. This has indeed shaped different forms of queer mobilization and activism in the region, each working towards self-determination, assertion and representation of their own. The Project attempts to establish solidarity with the different groups, organizations and collectives to begin with and establish collaborations. This is an earnest attempt to bring out the heterogeneity of the queer movement in the region and also build strong ties with local mobilization and movement that have already been there in each sphere. For instance, the queer movement in Guwahati and Imphal may have different histories and trajectories to it. We wish to keep in mind the nuances while also simultaneously collaborate by taking up the key work the project does (documentation, archiving and dissemination of lived experiences of northeast queer people). Along these lines we wish to collaborate with local groups and collectives, pool in resources and ideas and work together so as to further the voice of the community in each region or state. We also attempt to further explore the diversity of queer narratives not just in the form of blogs or articles but also other forms such as cinema, music, painting, photography, etc. Collaboration is the approach. Previous post How ‘Made In Heaven’ Brought My Mom and I Closer.